Many of you know that I'm originally from Wisconsin and now living in Minnesota...roughly translated means that cheese will still reign supreme and when I find a recipe that embodies multiple cheeses, we are trying it. I say all of this in jest because the others in home NEVER say no to anything related to cheese. So, I lucked out there. 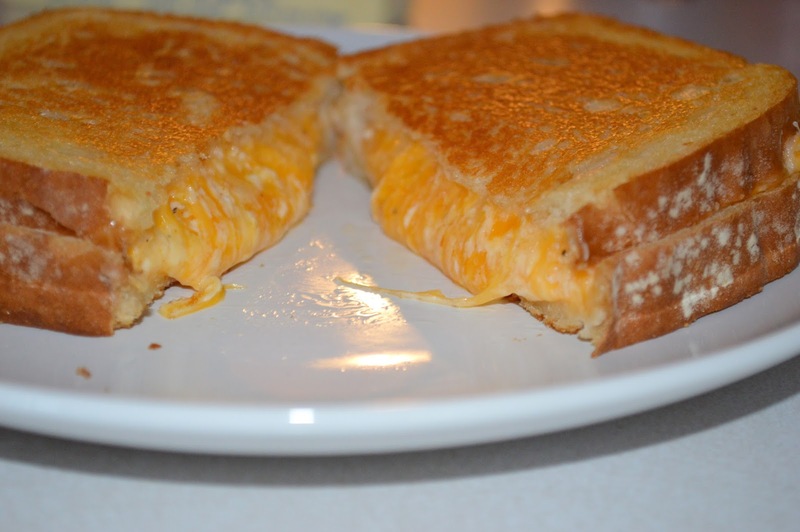 This sandwich may be the cheesiest thing I have ever eaten. Smooth and creamy and full of melted dairy. 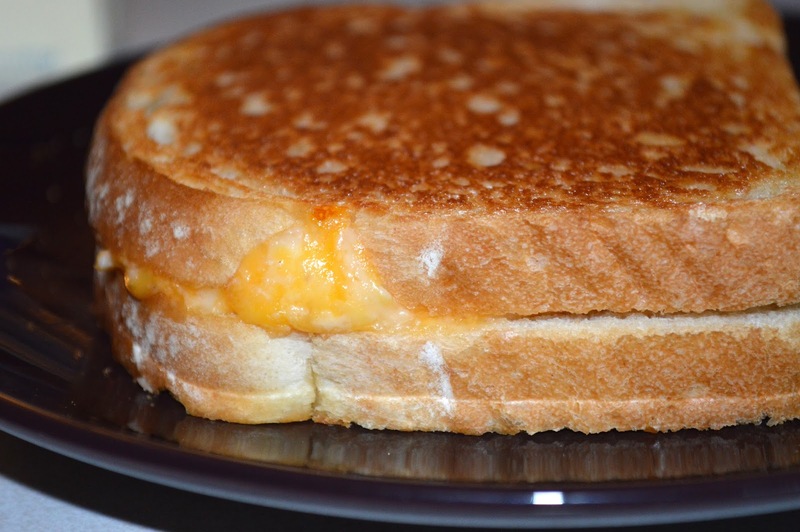 It's a grilled cheese lovers dream sandwich! One thing I will let you know...and I may loose part of my Sconnie card for saying this. It is incredibly filling! So much so that I would recommend starting out with a 1/2 sandwich for everyone first and having a nice tomato soup or salad on the side. Otherwise dig in and prepare for the ultimate in cheesiness. 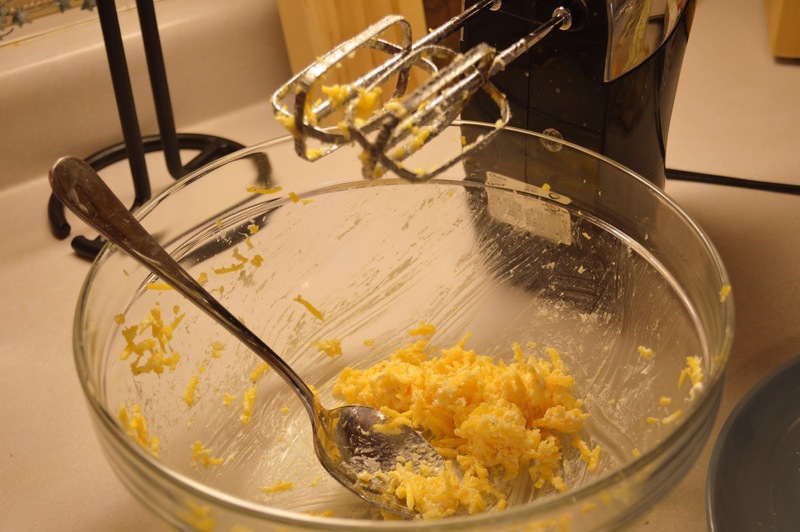 Combine all ingredients above (minus bread) and mix together with a mixer or food processor until smooth and creamy. Heat large skillet over medium low heat. Butter the outside of bread and put approximately 1/2 cup of the mixture in each sandwich. Cook in skillet covered until insides are melted and bread is toasted a golden brown. Serve and enjoy. Great with a side of tomato soup.